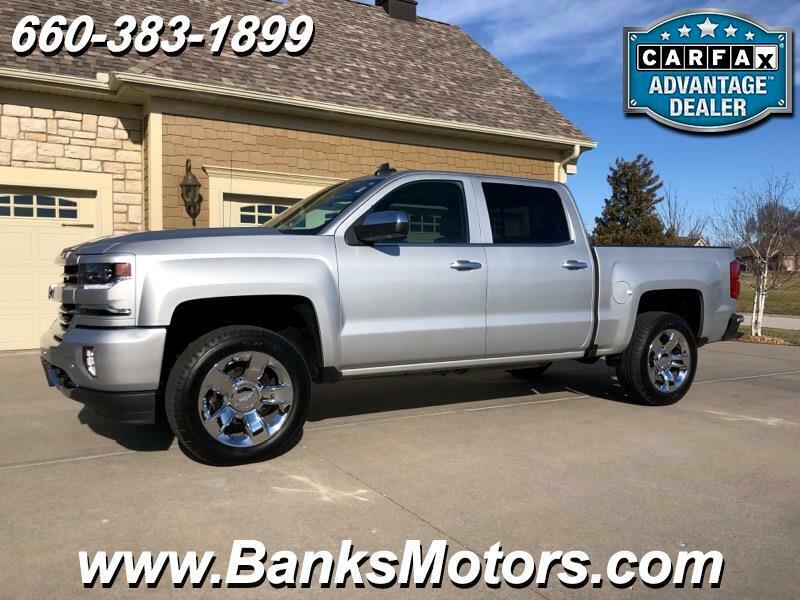 Immaculate 1 Owner LTZ Silverado with a Clean CarFax! This Crew Cab 4WD is Clean Clean Clean! New Goodyear Tires come with this truck along with tons of Impressive Features which include.....Heated and Cooled Leather, Navigation, Sunroof, Heated Steering Wheel, Backup Camera, Bose Audio, Dual Power Seats, Mounted Audio Controls, Remote Start, Adjustable Pedals, Park Assist, Dual Climate Control, Spray In Bedliner, 20" Chrome Wheels...(perfect condition) and so much more!! We are located in Clinton, MO, less than an hour southeast of Kansas City! No Games, No Gimmicks, Just The Right Way Of Doing Business!